Twitter, the popular micro-blogging and messaging service, has become a big deal – and not just among social media. By its sixth birthday in 2012, it had an estimated 500 million “active” users worldwide, 140 million of whom are in the US. Based on its latest round of financing, its implied market capitalization would be $ 9.9 billion. Activity on Twitter has become a leading indicator and Twitter sentiment is often reported in newscasts. The very volume of Twitter activity has become newsworthy. For example, the Academy Awards telecast generated 8.9 million Tweets and the Super Bowl garnered 24.1 million. Of course, many minor events are tweeted about – it seems that every conference, meeting, or presentation I attend – begins with announcing its hashtag. A number of services such as Twitturly, Twitscoop, and Monitter allow you to track Twitter activity about your brand, organization, or cause. This can be interesting, but how relevant is it? Twitter measurement is relatively cheap and easy. Still, should you judge a marketing campaign or prospects for your latest product by reception on Twitter? The folks at Twitter seem to think so and want to sell you a “promoted account,” which solicits more followers for you. Presumably, more followers will lead to more mentions. If that won’t prime the pump, you can also pay for Promoted Tweets, which you can send to audiences who don’t follow you. This may not be shocking, but it should give one pause. 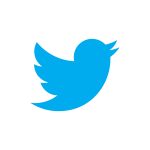 How many of your users not only have Twitter accounts, but are actively engaged. Unless you’ve restricted your market to Twitterati, you may be wise to do some of the heavy lifting involved in market research. Please Tweet me your thoughts @4ourth. This entry was posted in Uncategorized and tagged Market Research, social media, Surveys, Twitter on March 9, 2013 by Peter Buechler. Like many businesses and households, I’ve been shopping a lot on line, and not just on CyberMonday. After the checkout or in the confirming email, we’ve also noticed a proliferation of “customer satisfaction” surveys. Neither you nor your customers will get satisfaction, if you imitate many of the ham-handed requests for feedback, which increasingly follow online ordering. It is now very easy, and often free, to create a web, mobile, or email survey or feedback form with tools from bizrate, SurveyMonkey, SurveyTracker, google.docs and many many others. The ease of creation is perhaps part of the problem. In principle, gaging the quality of your customer’s experience is desirable. But not at the expense of creating a poor experience. The effort to add an extra question or page of questions of nice to know information is negligible. Since you have your attention, you might be tempted to ask you about other suppliers, products they didn’t buy, or try to sell them something else. Don’t. Incredibly firms, whose web sites enable a customer to find and buy a product in 2 or 3 clicks ask the same customer to spend ten or more extra minutes completing a satisfaction survey. The Long String-Along. Unless you have a deeper relationship with your customer and are compensating them in some way keep it short. Avoid pile on “nice to know” questions. Sending your respondents to a survey with a continue button at the bottom of the page, and the following page, etc. can lead to the customer abandoning the survey or speeding through it and giving unconsidered responses. Require answers to all questions, regardless of whether they may pertain to a given customer or your offerings. For example a seller of camping equipment included questions about categories it does not and never has sold. Require identifying information, such as an email address. If you want to identify a respondent, offer to send them some sort of tsatske. You’ll have to mail it to them and hence need contact information. Of course, this does not give you the right to pester them. Over Quantification. You are an expert on your product and believe you can distinguish nuances such that a 10 point rating scale makes sense. This pseudo-precision not only makes your surveys difficult to read, it also reduces the reliability of your results. Instead keep your interaction to what fits on a postcard. Or shorter. Ask less upfront and you will learn more as well as keep the goodwill of your customers. I recently had to call the tech support line of my ISP. I was asked if I would stay on the line to rate the service I had just received. It consisted of a single automated question – rating the service on a five point scale with a single press on the phone keypad. This entry was posted in Uncategorized and tagged customer research, customer satisfaction, Surveys on December 9, 2012 by Peter Buechler.